Have you noticed extra fullness, or a fat pad under your chin, along with a sagging jawline? We offer a safe option to our patients in Calgary, Alberta, seeking a non-surgical solution to minimize a double chin, with Belkyra™ injection treatments. The active ingredient in Belkyra™ is deoxycholic acid, found naturally in our bodies, which has a digestive effect on fat cells. The Health Canada approved product is injected into the submental fat pad under the chin. The deoxycholic acid breaks down the fat cells which are then disposed of by our normal biological systems in the body. In addition to permanently decreasing the fat cells in the submental area, the jawline becomes firmer and more contoured. Each treatment takes about 30 to 45 minutes, consisting of a series of small injections into the fat pad. Side effects of each treatment may include a stinging sensation with the injections, minor bruising, and localized swelling over the treatment area that may last a week or two. Symptoms decrease over time, and you can continue with your usual activities quite quickly. To achieve your best results, we recommend at least two treatments done 8 weeks apart. You may need additional treatments and up to four treatments may be necessary for some patients. 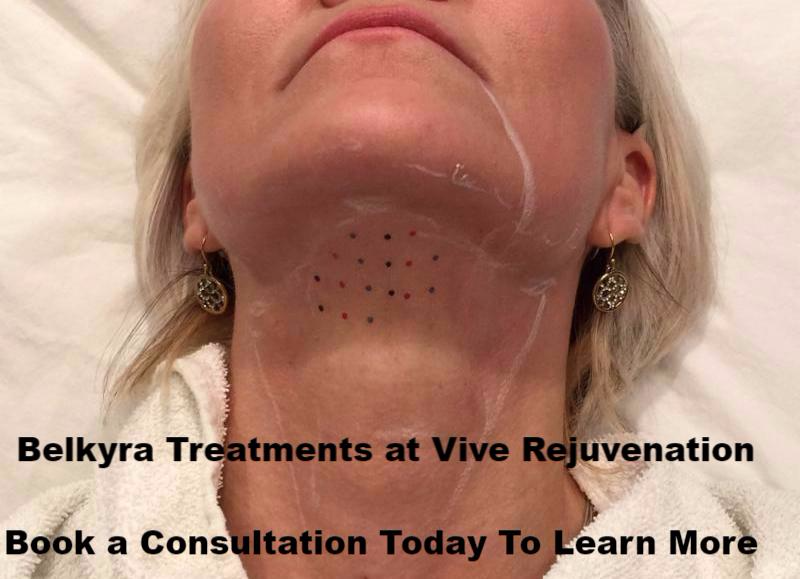 Consider Belkyra™ treatments for your double chin. Book a complimentary consultation with one of our physicians to learn more.